The Thrifty Scot reports that credit card customers would be able to track debt as it happens if this new invention ends up on the market. 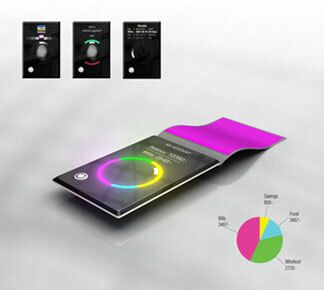 It is a contactless credit card designed by Jacob Palmborg that shows customers their financial status before making a purchase. Customers could link it to any of their accounts, savings/checking/credit, and the device would display how much is in each account as well as how each additional purchase would affect their account balances. The card is secured by a fingerprint reader that only allows authorized people to see the account balances. This technology also opens up the possibility of it being used for driver’s licenses, student IDs, passports, etc.